See you later Kylie! Egg steals her Instagram spotlight. A picture of an egg has been posted on the platform, Instagram - posted to the account; world_record_egg on January 4th in aims to reach the spot, of most liked picture. The caption says: 'Let's set a world record together and get the most liked post on Instagram. Beating the current world record held by Kylie Jenner (18 million)! We got this.' So far the egg has reached over 27 million likes, far surpassing Kylie Jenner. When was the record broken? On January 13th, the record was broken, reaching 18 million likes. 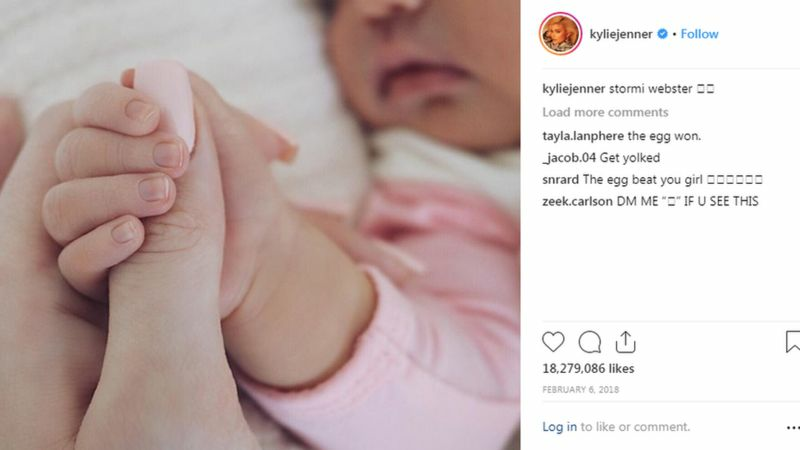 Previously, the most liked photo was Kylie Jenner's new born, Stormi of February 2018, but now, a large majority of the comments on Kylie's photo are talking about the egg. Don't worry! Kylie hit back with a response.. a video was posted to her account of her cracking an egg on the floor, her point clearly made. WHAT DO YOU THINK? LET US KNOW DOWN BELOW!